WHILE CATCHING my breath after two flights of stairs, I looked out the window from the 7th Floor and saw the Central Block Atrium from a distance. I have come to terms with the fact that my life will never be the same as everyone else's. 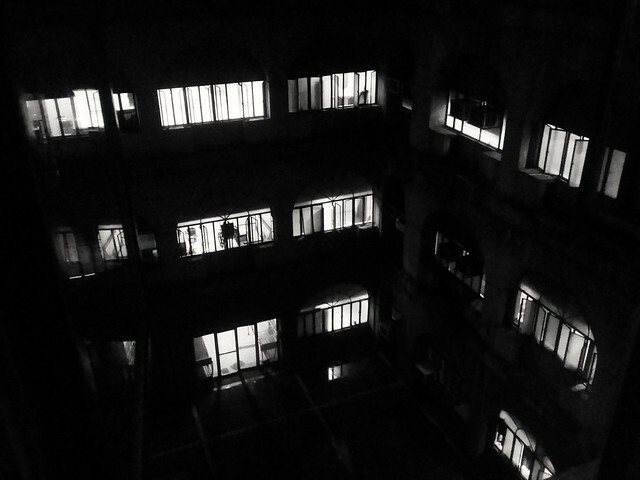 Whereas the rest of humanity sleeps and dreams around this time, I wander along the dimly lit corridors of the Philippine General Hospital, shooing away the angel of death by making sure the patients are all chest pain-free, able to breathe optimally, their hearts still beating, ready to face the new day. The life of a doctor is almost poetic. In between referrals, I look out the window. Manila is beautiful at night. I imagine that families are having leisurely dinners. Friends are bonding over late night coffee. Some people are in their pajamas, about to hit the hay. But the phone keeps on ringing, and so I must go. And some others are slaving away into the night, too (e.g. call center agents). May karamay ka Lance.